A sperm donor is a man willing to donate his sperm to help a woman become pregnant. For many women that essential missing piece of the jigsaw in their journey to become a mother takes on sacred search. When we launched Co-parentmatch.com in 2007 most women looking to become pregnant using a sperm donor would have had only one option which was to visit a sperm bank, purchase sperm and get pregnant by artificial insemination never knowing the identity of the man who shares half of their child’s genes. Co-parentmatch.com changed the face of sperm donation in that we enabled women looking for a sperm donor to meet their donor face to face. With this concept came an increase in home insemination as an option to achieve pregnancy. Sperm banks now offer known sperm donor schemes whereby you can bring along a sperm donor that you have met online and arrange for artificial insemination. If you want more more information on donating sperm visit our sperm donor guidance section or Register Now to Become a Sperm Donor! 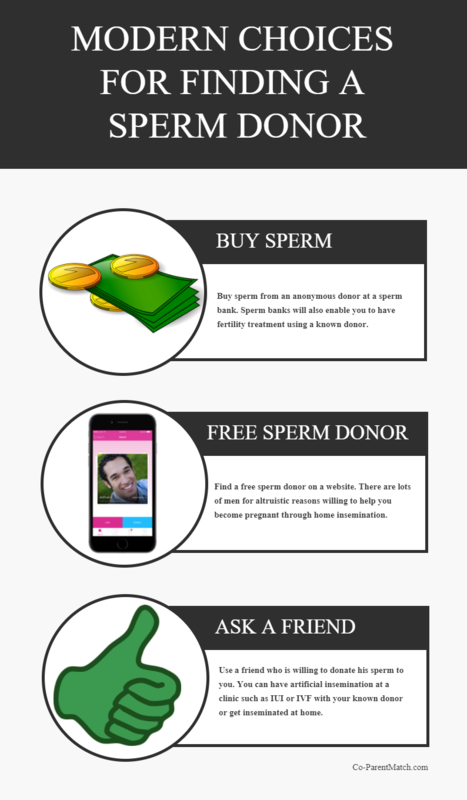 If you are wondering how to find a sperm donor there are 3 modern day options. Finding a sperm donor no longer means that you are limited to a trip to your local sperm bank. Co-ParentMatch.com has been helping a whole range of women conceive by sperm donation for over a decade. Our donors have helped women of all ages, ethnic backgrounds and sexuality to fulfil their dream of becoming a parent. What are my Choices for Finding a Sperm Donor in 2018? How do I Search for Free Sperm Donors? With Co-ParentMatch.com you can search donors for free using our online catalogue. When you find a sperm donor profile you like the look of you can upgrade to send and receive messages with that member. The idea of this matching service is that you get to meet your donor face-to-face. You can then ask as many questions as you want, you can see if you like your donors personality, his looks, his mannerisms and ultimately decide if he can be the father of your child. View our Latest Sperm Donor Profiles in the UK, USA, Australia, Canada, New Zealand, South Africa or log in to use our advances search tool for access to thousands of members from around the world. Is there a Different Option to a Sperm Bank? Co-ParentMatch.com is an alternative method on how to find a sperm donor. We are different from a sperm bank in that once you have selected a donor via our advanced search tools you get to correspond with your donor via email and, if you choose, meet your sperm donor face to face. You can then decide if this man is the person you want to help you become pregnant. Many women feel that it is a tough decision choosing a sperm donor from a sperm bank as more often than not you will only get to view certain details about your donor via a questionnaire and a member of the sperm bank staff’s perception of the sperm donor’s personality. You may also be able to view baby photos of your donor. You or your child will never get to know who the biological father is until the child reaches 18 years. With Co-ParentMatch.com you get to not only view adult photos of your donor but you get to talk to them via email and then if you choose you can progress to meeting them in person. You can then make an informed decision if this is to be the man who will father your child. What is The Best Form of Insemination? At the point where you find a sperm donor you want help you become pregnant, both you and your sperm donor can decide on the best form of insemination for you. 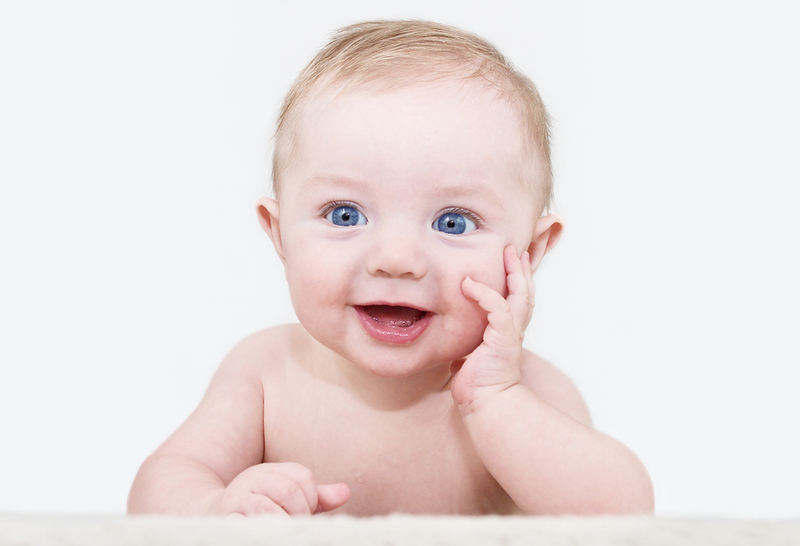 We advise that you have your match donate through a sperm bank or fertility clinic and then choose from a range of artificial insemination techniques from IUI to IVF. If you cannot afford fertility treatment you may want to try home insemination which has great pregnancy success results. Whichever method you choose always make sure it has been thoroughly discussed with all parties involved and is agreed in full before any insemination takes pace. The most important thing of all – ask your sperm donor to produce full up-to-date health and fertility screening results to ensure he is both fertile and disease free. How Effective are Sperm Donor Search Tools? Our effective search tools will help you locate a sperm donor at or close to your chosen location and you can also choose from donors who wish to be anonymous to the child, known to the child or want some involvement in their life through a co-parenting arrangement. You can filter results based on your requirements. It is important for sperm donors to consider their legal rights and responsibilities when donating sperm. Depending on where you donate sperm for example in a clinic or by home insemination the sperm donor could become the child’s legal parent. This would mean liability for paying child maintenance fees etc... Both donors and recipients should read our legal facts section for more information. If you are a single lesbian or lesbian couple and you want start a family you do not necessarily have to use a sperm bank. The alternative option is to find a free sperm donor on a website. We have a diverse sperm donor catalogue with thousands of guy’s that are willing to help you become a parent. The idea of this sperm donor matching service is that you select your donor using our extensive online search tools and find a donor that matches your criteria. Can I Meet a Sperm Donor Face to Face? You would then meet your donor face-to-face and if they suitable you can arrange your chosen method of conception; from fertility treatment in a clinic to home insemination. Always ensure your donor has undergone a through health and fertility screening process and read our legal facts sections to ensure you are up to date on parenting rights and responsibilities. It is very common for single women to yearn to have a child. Many women simply cannot ignore the ticking of their biological clock regardless of the fact they may be single and not in a stable relationship. Perhaps in an ideal world you may have settled down, got married and started a family in a more traditional way but for single women who have not met Mr Right there is an option for that route into parenthood before it’s too late. Thousands of single women each look for a sperm donors who can help them become a mother. For one reason or another, at a certain age, some women have found themselves single yet yearning for a baby. This website enables single women to search through a diverse selection of sperm donors online. At the point where you find a donor who matches your search criteria you can then meet your sperm donor in person. Sperm donation can then take place in a fertility clinic or by home insemination. Always ensure your donor has undergone a through health and fertility screening process and read our legal facts sections to ensure you are up to date on parenting rights and responsibilities. Are there Sperm Donors for Married Couples? It is increasingly common that more and men are suffering from infertility leaving many married and partnered couples without the ability to conceive a child naturally. In these unfortunate circumstances decisions about alternative ways to have a child will be discussed. One method many couple choose is to use a sperm donor. What if I want a Donor that Looks Like me or my Partner? Co-ParentMatch.com enables you to select sperm donors on very specific search criteria so, for example, if you are searching for a donor that looks like your male partner you will be able to view full adult photographs of sperm donors. Not only that you will get to meet your sperm donor face-to-face and see if they have the genes that you would like to pass on to your child. You can make sperm donor selection decisions based on personality, mannerisms, looks, intelligence etc.. Always ensure your donor has undergone a through health and fertility screening process and read our legal facts sections to ensure you are up to date on parenting rights and responsibilities. There are thousands of single women and childless couples who are desperate to become parents. Would you like to become a sperm donor and help those people achieve their dream? Find out what the requirements are to Become a Sperm Donor. Sperm donation is a gift and is something that many men consider to be extremely rewarding. If you think you would like to become a sperm donor then register with Co-ParentMatch.com. Unlike a sperm bank, using this sperm donor matching service you will get to meet your recipients face-to-face. You can decide which single or couples you would like to help. You can also decide if you would like to be a known sperm donor or be involved in the child’s life with a co-parenting agreement. Some men like to completely anonymous and have no interest in being part of the child’s life whereas others are happy to be known to the child and kept up-to-date with letters or meetings. Our search tools enables you to find a match based on specific criteria so you will always find the right match for you.